The United Kingdom will exit the European Union. Average voters won the battle against most of the nation’s political, business, cultural, and media elites. The shock waves first hit Scotland. The secession-minded government plans to hold another independence vote. Fear of losing EU access was a prime argument against leaving in 2014. Next time a majority of Scots may see no reason to stay. Both the Conservative and Labour Parties face bitter, internecine strife. Calls already have been made for the resignation of opposition leader Jeremy Corbyn. Prime Minister David Cameron did not wait to be pushed. He announced his intention to resign and the rest of his government is likely to be swept away as well. The UK and EU must plan a process never before undertaken. Most important will be early negotiations over London’s future economic and political association with the rest of Europe. However, some Eurocrats, representing the political interests which dominate Brussels, have threatened to retaliate against the British vote by making the UK’s departure as difficult as possible. For no obvious reason other than personal pique President Barack Obama took a similar position, telling the British people that they would end up at “the back of the queue” for free trade negotiations with Washington. Yet turning post-Brexit negotiations into a punitive expedition would harm everyone involved. The impact of the vote will radiate across the continent as well. Some Eurocrats imagine that dissatisfaction with the EU is a uniquely English phenomenon. It actually is much more. Observed Raoul Ruparel and Stephen Booth of London-based Open Europe: “a number of other states attempted to piggy-back on the UK’s reforms, but this was resisted by others for fear of ‘reform contagion’.” Reform may be harder to resist in the future, however. My Cato Institute colleague Marian Tupy pointed out that “the EU is undemocratic not by accident, but by design.” Thus, the British are not the only Europeans desiring to escape from the EU’s smothering embrace. Czech Prime Minister Bohuslav Sobotka predicted that “debates about leaving the EU could be expected in this country in a few years, too.” A majority of French and Italians and plurality of Danes and Swedes told pollsters that they want a similar vote. And strong pluralities in most states polled favor returning more powers to national governments. Moreover, populist and nationalist parties are likely to make EU membership an issue in upcoming elections. France, Germany, and Italy all will hold elections within the next two years. The National Front’s Marine Le Pen said she would call an exit referendum if elected president. In Germany a Euroskeptic third party has broken into double digits in state elections. Rome elected a mayor from the anti-establishment 5-Star Movement. The hard nationalist right barely missed winning the presidency in Austria. Euroskeptic parties are in government or bidding for power in Finland, the Netherlands, and even Sweden. Economic hardship also has elevated Euroskeptics of varying degrees on the left. In Hungary and Poland autocratic, traditionalist conservative governments often find themselves at odds with the EU. 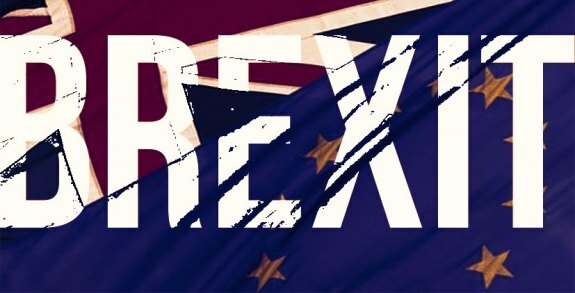 Although there will be no mass exodus from the EU, the departure of even a couple more nations would further diminish the reality of the “European Union.” Moreover, other governments are likely to push to regain authority or at least resist any further accretions of power to Brussels. The continent is fracturing, not uniting. Some European leaders remain oblivious. There was strong resistance in Brussels to Cameron’s reform proposals as well as other nations’ attempts to win similar concessions. Yet ever fewer Europeans appear to desire the existing union. What the EU desperately needs is a true “reform contagion.” Painful as it would be to Brussels in light of Brexit, the EU should move “in a ‘British’ direction,” argued Vernon Bogdanor of King’s College London. At least the organization could allow multiple levels of integration, with different requirements for different states. Most important, instead of attempting to circumvent the public, Eurocrats should make their case for change and abide by the voters’ decisions. Otherwise, Today “the specter of a breakup is haunting Europe,” warned Tusk. Once again the British have lived up to their reputation. Average folks rejected expert opinion and economic special pleading in order to better govern themselves. Just as America’s forefathers did against the British Empire so many years ago. Submitted by jon exner on Mon, 06/27/2016 - 13:05. Seems like far too many people have forgotten just how many times, how many incidents have happened in our lifetime that has negatively affected the Stock Market only to have it rebound in due time. I would not put it past the monied people to intentionally sell their stocks to prove their point that Great Britain leaving the EU was a mistake of monumental proportion. These people want the one world government, the one world economy that benefits them over the average person that they would go to any extreme to insure the success of their plans. As the EU grew in power the next move may have been to see that the Asian Pacific countries join and economic group. Then like the EU the economic purposes morph into the governance end. The next move would have been to see NAFTA reach its final end and our economic connection become the governance of our nations become joined by accepting foreign laws over our own Constitution, and the last and final move would to be join those groups together under the United Nations to become the one world governance that the likes of the bush family, obama, the clinton's and many more are attempting to shove down Americans throats. It must be pointed out that we have had a global economy since the first day that Marco Polo began his journey across Europe into Asia seeking trade with foreign nations, foreign people. Their plans are not based solely on trade but power to control the world. We must stand firm as firm as Great Britain and not fall into that trap.